Today’s Special plot: The Marriage of Rajkumari Pranali and Yuvraj Angad starts and before the starting of ‘fere’ his father enters there now see what will happen? 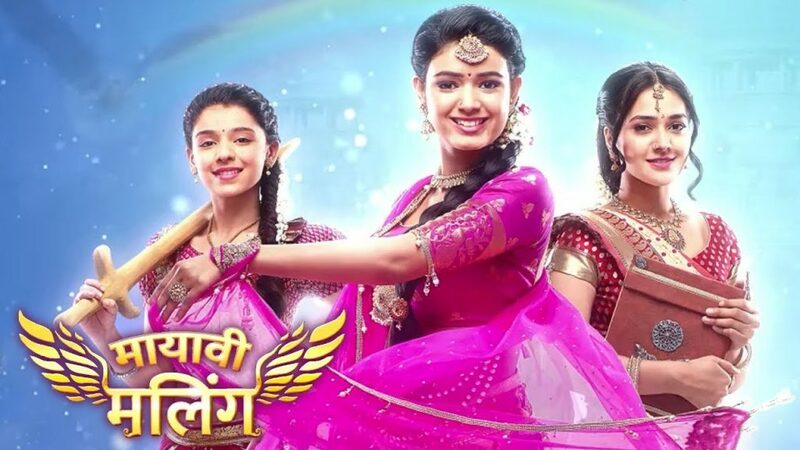 Today’s episode of ‘Maayavi Maling’ starts with Yuvraj Angad coming to Pranali’s palace to marry her and Pranali’s family doubt on him and Rajkumari Garima says him to give proof that does not belongs to ‘daat vansh’ to prove it He gives his mother ‘mrityudand’ by blaming her as criminal. All gets satisfied with him and marriage ceremony starts Pranali’s father does her ‘kanyadaan’ and suddenly Angad’s father enters there and everyone gets amazed seeing him healthy. Pranali’s father says that Pranali is very lucky for them as with the completion of ‘kanyadaan’ he gets a fabulous health. Everyone was very happy. Angad comes to him and bents down to take his ‘aashirvaad’ he touches his foot and does some black magic. His father does not expose his truth and give the order to start the marriage . ‘varmala rasam’ gets completed and then Angad ties ‘ mangalsutra’ in Pranali’s neck and finally, marriage gets completed successfully. At the time of exodus Pranali’s mother shed tears from her eyes and Pranali goes to Angad’s palace. Friends of Pranali give her tips to celebrate ‘suhaagraat’ but Garima was confused as she was not able to understand. They give Pranali a glass of kesar-badaam milk for Angad. Angad stops his father from drinking and sees his melted wrist he takes him and leave him to his room and says to him that he would expose him if he did not stop him. His father says that he knows everything very well as he is his mother and he will be in his real look soon as he has tired. Angad’s brother comes to call him as his friends were waiting for him to give ‘suhaagraat tips’ he leaves the room in between Mandari waves at him and he goes to her and she tells him something. He gets sad and angry after listening. His friends leave him in his room. He takes milk from Pranali and starts taking. Pranali was quite nervous. He asks her why she was gone to Karyagrih before marriage and Pranali gets afraid and she tells him something, on listening he turns angry and starts to break the things. Now see what will happen in Next episode to get updated keep in touch.